Russell Edward Brand is an English actor, comedian, radio host and author from Grays. Brand initially got recognition when he worked as the host of Big Brother’s Big Mouth. He has his first major film role in the romantic comedy-drama film ‘Forgetting Sarah Marshall’. Since then Brand has also worked as a voice actor and a comedian. As of 2019, Russell Brand’s net worth is approximately $15 million. Russell Edward Brand was born in Grays, England on the 4th of July, 1975. Brand is the only child of Ronald Henry Brand and Barbara Elizabeth. His parents divorced when he was six months old, and he was raised by his mother. When he was 8 years old, his mother contracted uterine cancer, and then breast cancer one year later. When Brand was 16 years old, he left the home because of disagreements with his mother’s partner. The consequences of that led him to illegal drugs such as LSD, ecstasy, and cannabis. Russell Brand has always had a sharp personality and a creative bend of mind. In 2000, Brand came out with his talent in public by doing a stand-up comedy at the Hackney Empire New Act of the Year. During the same time, he toured various nightclubs in Ibiza and England for the show ‘Dancefloor Chart’ on MTV. Brand left MTV in 2002, and began working as a host with Matt Morgan, he also appeared on ‘Cruise of the Gods’ and ‘White Teeth’. His breakthrough came in 2004 when he hosted ‘Big Brother’s E-forum’. In 2005, Brand was offered a lot of work, one of them was to perform on the television and perform in BBC’s sitcom ‘Blesses’. During the same time, he also got a British TV debate comedy show ‘Russell Brand’s Got Issues’ which made him into a household name. Brand did a phenomenal performance in the romantic comedy film in 2011 titled ‘Arthur’ which was a remake of the 1981 film. The movie itself did commercially well, and he was nominated for Teen Choice Award and 32nd Golden Raspberry Awards. Since then, Russell Brand has made a name for himself both in comedy and in films. He has starred in movies such as ‘Forgetting Sarah Marshall’ (2008), ‘Get Him to the Greek’ (2010), ‘Arthur’ (2011), ‘Rock of Ages’ (2012) and ‘Trolls’ (2016). Brand has worked with stars such as Jonah Hill, Jason Segel, Mila Kunis, Adam Sandler, Paul Rudd, Sean Combs, and many more. 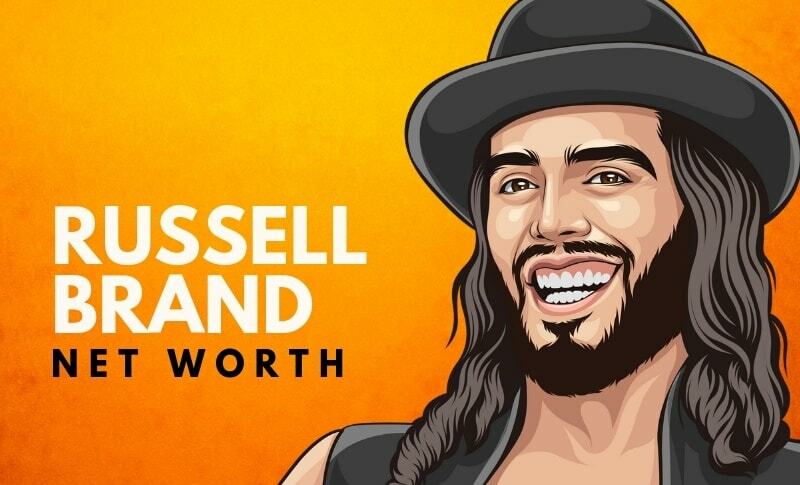 As of 2019, Russell Brand’s net worth is estimated to be roughly $15 million. View our larger collection of the best Russell Brand quotes! Russell Brand is mostly known as the host of Big Brother’s Big Mouth. Since he had his first major film debut, he has been very popular with the audience. However, Brand has worked with stars such as Jonah Hill, Jennifer Garner, Tom Cruise, and Julianne Hough. 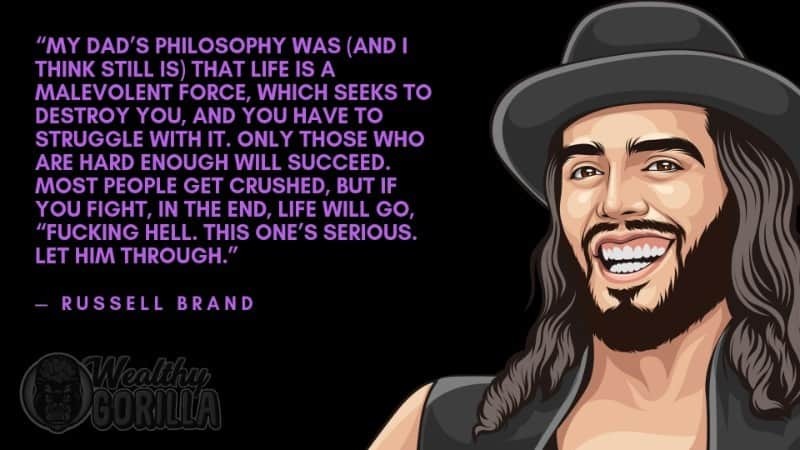 What do you think about Russell Brand’s net worth? Leave a comment below.